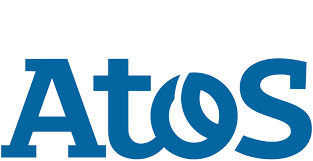 Atos SE (EURONEXT:ATO), a global leader in digital transformation, today announced that it has been informed that the review by the Committee on Foreign Investment in the United States (CFIUS) of its proposed acquisition of Syntel (NASDAQ:SYNT) has been completed, and there are no unresolved national security issues with respect to the transaction. CFIUS was the last outstanding regulatory authorization prior to closing. Antitrust clearance decisions have previously been obtained from antitrust authorities in the United States, Austria, Serbia and India. This document contains forward-looking statements that involve risks and uncertainties, including references, concerning the Group’s expected growth and profitability in the future which may significantly impact the expected performance indicated in the forward-looking statements. These risks and uncertainties are linked to factors out of the control of the Company and not precisely estimated, such as market conditions or competitors behaviors. Any forward-looking statements made in this document are statements about Atos’ beliefs and expectations and should be evaluated as such. Forward-looking statements include statements that may relate to Atos’ plans, objectives, strategies, goals, future events, future revenues or synergies, or performance, and other information that is not historical information. Actual events or results may differ from those described in this document due to a number of risks and uncertainties that are described within the 2017 Registration Document filed with the Autorité des Marchés Financiers (AMF) on February 26, 2018 under the registration number D.18-0074. Atos does not undertake, and specifically disclaims, any obligation or responsibility to update or amend any of the information above except as otherwise required by law. This document does not contain or constitute an offer of Atos’ shares for sale or an invitation or inducement to invest in Atos’ shares in France, the United States of America or any other jurisdiction.